Potent and selective protein kinase A inhibitor (Ki = 60 nM). Arrests skin fibroblasts in the G1 stage. Reverses multi-drug resistance in leukaemia and attenuates hyperpolarization-activated cyclic nucleotide-gated (HCN) channels in the dorsal root ganglion (DRG). Cell-permeable. K-252 compounds, novel and potent inhibitors of protein kinase C and cyclic nucleotide-dependent protein kinases. Kase H et al (1987) Biochem Biophys Res Commun 142(2) : 436-40. In vitro and in vivo reversal of MDR1-mediated multidrug resistance by KT-5720: implications on hematological malignancies. Galski H et al (2006) Leuk Res 30(9) : 1151-8. Multiple kinase arrest points in the G1 phase of nontransformed mammalian cells are absent in transformed cells. Gadbois DM et al (1992) Proc Natl Acad Sci U S A 89(18) : 8626-30. Novel role of KT5720 on regulating hyperpolarization-activated cyclic nucleotide-gated channel activity and dorsal root ganglion neuron excitability. Cheng Q et al (2013) DNA Cell Biol 32(6) : 320-8. 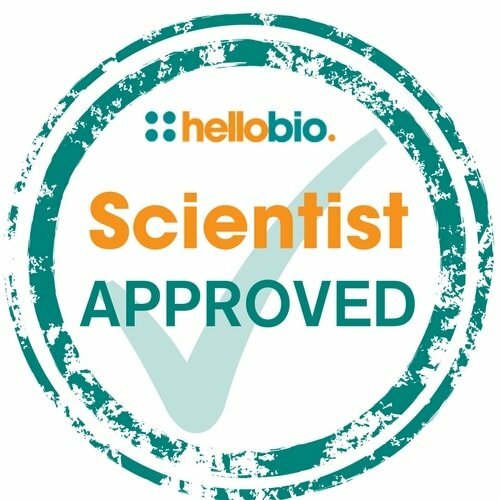 The following papers have cited the use of KT 5720 (HB0361) from Hello Bio. If you have published a paper using this product, and it is not shown here, then please tell us! We will send you a free gift as a thank you! On the Role of Calcium-Permeable AMPARs in Long-Term Potentiation and Synaptic Tagging in the Rodent Hippocampus.